About ten years ago I took up drawing again after nearly thirty years of not drawing at all. I had always hoped to start again eventually. It ended up being an Apple iPad that motivated me to get started again. ​The Procreate app that I use will create a time lapse video of any drawing I create. I recently decided to pair some of these time-lapse videos with some short improvisational pieces that hadn't found a home. It is interesting to watch the drawing come to life. Adding music made it seem a bit like I was watching early film that had musical accompaniment. It is an area I hope to experiment with more. Editor's Note: Below are three high definition video players. Viewers have the option to view the videos full-screen. Plus the videos are downloadable. What is it about analog synthesizers that is so appealing? When considering this question a while back my initial thought was that it was because of the music I had been exposed to. For a lot of people my age the first major electronic music I heard was Switched-On Bach. It is possible I heard analog synths used in other pieces of music prior to this. Progressive rock and artists such as The Beatles, Monkees, Beach Boys had incorporated analog synths in some of their music. Switched-On Bach was something unique though. It was an album where all the instruments were created from this machine with knobs and and switches. Some of it seemed to emulate real instruments while other sounds were completely foreign. It is difficult to say if the impact on me would have been as big if the chosen composer was someone other than Bach. To me, Bach is the greatest composer in history and even Bach played on a banjo is still better than the majority of other composers. I believe it still would have made an impression, but Bach and Moog were a perfect combination. So Switched On-Bach was the first vehicle for exposing me to analog synths. What was it about analog synths that continued to keep my attention? Well, initially, I didn’t become interested in synths of any kind until years later. I certainly came to appreciate analog synths with the arrival of Kraftwerk. Radio in the 1970s was full of variety and I enjoyed pretty much all of it. It also served as a jumping point to other things as I found out there was other music to be explored that wasn’t played on radio. I spent a lot of time in my room with headphones on, absorbed in the sound. I continually looked for more music to listen to and there always seemed to be more waiting for me when I got around to discovering it. I didn’t realize it at the time, but I also was starting to enjoy sound for its own sake. Like most people I ended up wanting to play an instrument. I attempted piano, violin, guitar, and drums over the years. Lack of patience and discipline pretty much doomed any chance of me learning to play an instrument in the normal way. I wanted to play like a pro but didn’t want to practice. Can’t I just skip over the boring practice stuff and play the good music right now? It seemed like I would have to just stick to enjoying music and leave the performing to others. A few things would end up happening though, that would change my relationship to music and my level of involvement. I wasn’t too aware of what was happening in England in 1976, but by 1978 the effects were becoming evident. There was an explosion of new music starting. By 1979 there was so much new music that I was struggling to keep up. I wasn’t greatly impressed with punk even though I enjoyed quite a bit of it. The “do it yourself” message resonated though. As music evolved into post-punk and all its offshoots, suddenly there was music made by non-musicians. Of course there has always been music by non-musicians, I just hadn’t been aware of it. Here, the context was different and of course every generation has to discover their own version of “new”. In addition to the change in the music scene, technology was making it possible for most to be able to afford cheaper instruments. My tools for attempting to make music at this point were pretty minimal. A friend had given me a Lyle guitar that was a copy of a Gibson SG. 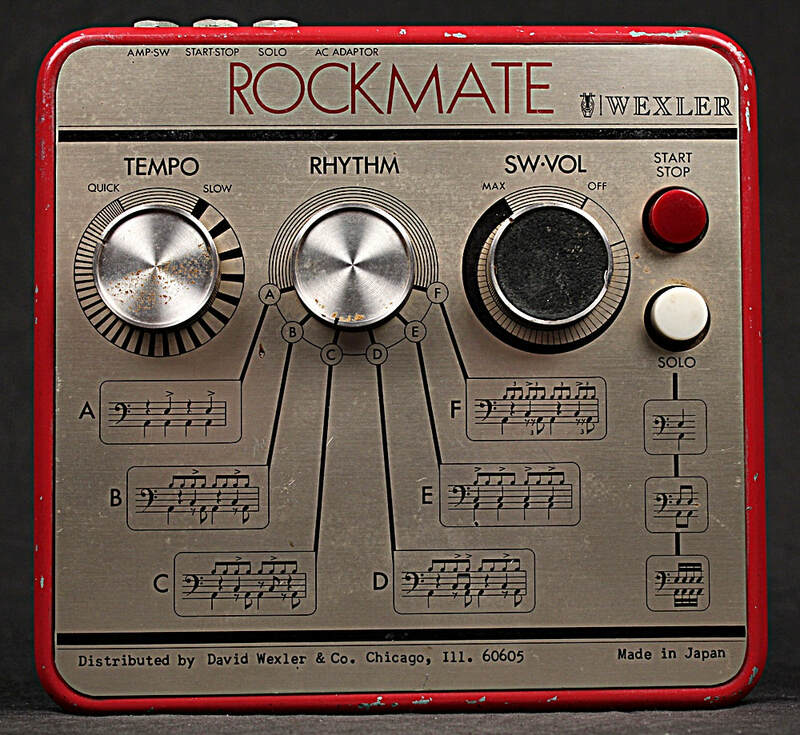 I had picked up a Rockmate drum machine from somewhere. I used a Panasonic tabletop cassette recorder and initially had to borrow another cassette recorder to make recordings as I played along with the tabletop. Eventually I picked up a regular cassette recorder and also a Realistic Electronic Reverb. My brother had purchased a real bass guitar that I was able to borrow. That was the only reasonably quality instrument I would have access to for a while. Sometime in the early 1980s my parents bought a Realistic MG-1 analog synth. Although it was fun I was a little underwhelmed. I ended up opening it up so I could try to run my guitar through it. I had no idea what I was doing but found some spots where the guitar sound came through the synth, but sounded electronic. It quit working at some point, probably due to me poking around where I shouldn’t. I became more interested in sampling and got a Casio SK-1 sampler when they came out. My next analog instrument would be an Arp Omni 2 that I bought in the early 1990s. It was a very heavy keyboard and more “string machine” than synth. So as much as I liked the synth sound, I was kind of unimpressed again due to its limitations. Sadly I wasn’t aware of people dumping their analog synths in the 80s. I probably couldn’t have afforded them anyway, even at the reduced prices at that point. In some respects I lost interest in analog synths. Sampling had greater sound manipulation potential. Also workstation synths were coming out that could do everything. These were an easy way to get a large variety of sounds and were good at emulating real instruments. This, along with multitrack cassette recorders allowed for some major creative sound exploration and creation. 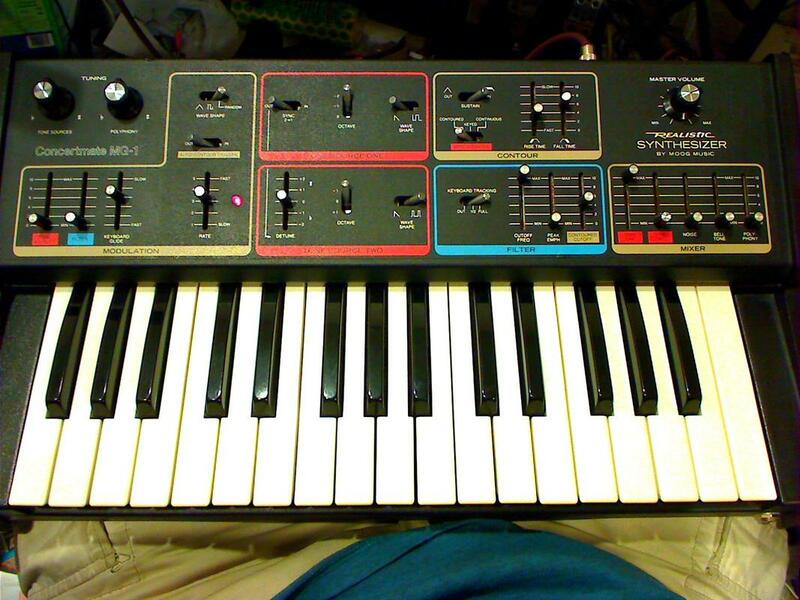 Nord introduced the first virtual analog instrument in 1994. It was out of my price range, but two years later I was able to get Roland’s JP-8000. It sounded like analog to me. 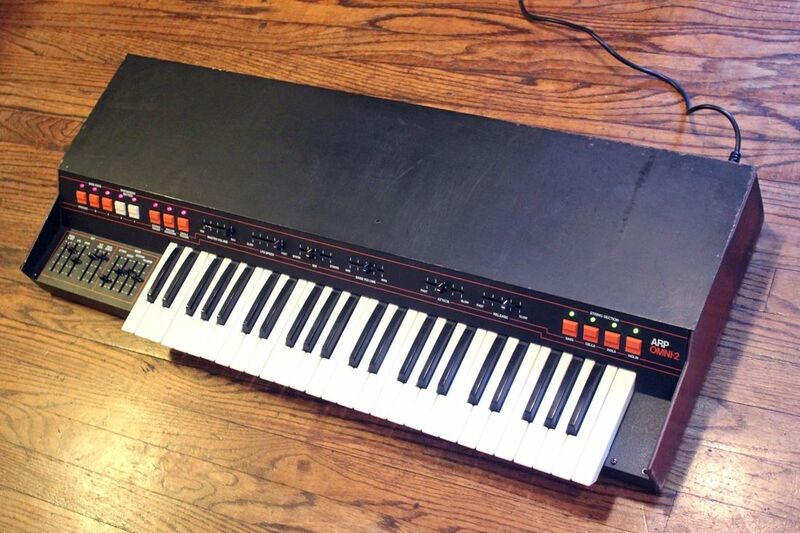 Of course I had never heard or even seen a Roland Jupiter-8. I bought other virtual analogs including the Korg MS2000, Yamaha AN1X, Alesis Ion and others. Even the analog samples in workstations were very good. It would be a while before I bought an analog synth again though. During one of my trips to visit Hal McGee I got a chance to play a Moog Voyager rack synth that he had. I was very impressed with it. The variety of sounds that can be coaxed out of Voyager is pretty amazing. I was able to get one not long after that. I also bought a Moog Little Phatty around the same time and figured that was it for analog synths. With the resurgence in popularity in analog recently I have ended up with a few more. Maybe more than a few. So, what is it that is so appealing about analog synths? I happen to like synths of all kinds and sound creation devices in general. But even with that in mind, there are some things specifically about analog synths that are appealing. Some of these might not apply to people that are younger. When I was growing up analog synths created the sound of the future. These were strange and unique sounds. They made the sounds of space ships, ray guns, aliens (especially Martians) and other strange sounds to represent unimaginable things. For me they also are tied to exploration and the ongoing search for new and unique sounds. Depending on your instrument of choice, exploration is more of a compositional tool. 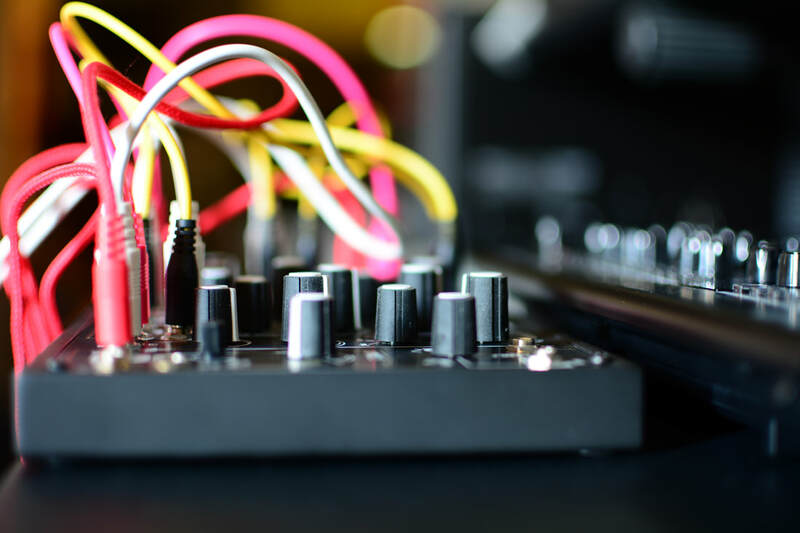 Analog synths are sort of chameleons capable of an immense variety of sounds. So they tend to be more sound explorer and potentially less musical explorer. As a failed musician I feel more connected to sound creation than song writing. Another reason for my attraction to analog synths is their relation to radio. I’m not sure why I didn’t make this connection a long time ago. 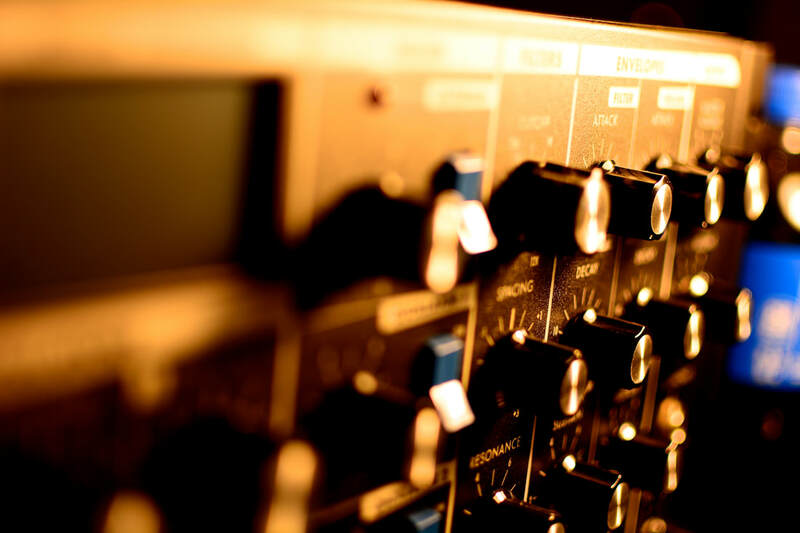 Analog synths are a lot like shortwave radios minus the stations. You can only “tune” the sounds of shortwave (or AM), but have a lot of control over the synth sounds and how they are shaped. 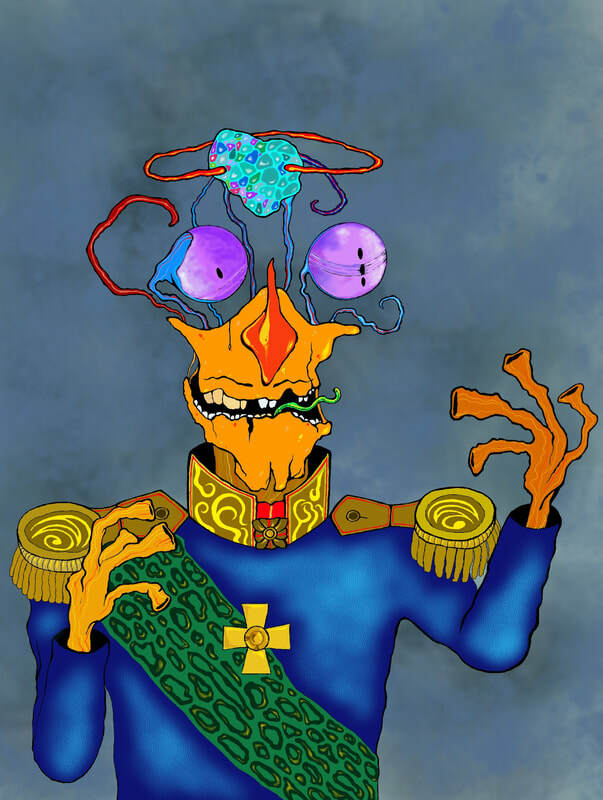 The sounds of some distorted voice on shortwave from around the planet could just as easily be a traveler from Mars as a strange station from outside of Moscow. As you turn the dial on the shortwave you can get all types of strange sounds, sometimes rhythmic and evolving and then fading to nothing. So for me analog synths are the sound of the future. They are also the sound of the past. They are the tools for exploration for the non musician. The sounds they create can include violins, organs, clocks, wind, alien communications, trumpets, drums, spaceships, insects, water, electricity, and things you haven’t imagined yet. Devices for creating from your imagination. No musical experience required. One of the things about being interested in sound itself as well as music, is the seemingly endless supply of things to discover. 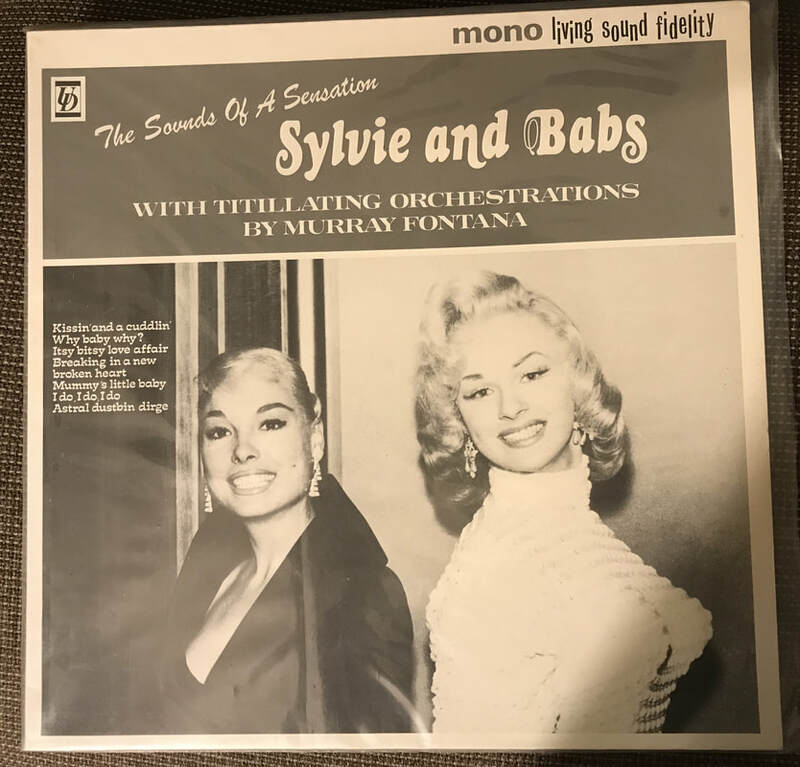 Years ago discovering new music happened as a result of reviews in magazines, recommendations, and sometimes just taking a chance on an interesting looking record. Currently, the internet and Youtube can lead to unlimited exposure to undiscovered sound. I recently came across two female artists that I was unfamiliar with. Both Éliane Radigue and Else Marie Pade created experimental electronic music as early as 1958. Both artists created unique and most likely pioneering sound, or at least, ahead of it’s time. There are certainly many more that are waiting for me to discover when time allows. It is interesting that a lot of people from the late 1970s to mid 1980s started releasing their creations on cassette initially unaware that others were doing the same thing. Certainly the availability of multitrack cassette recorders played a role, along with the D.I.Y. philosophy brought about by punk and post punk music. I was thinking about what influenced me to start doing this sort of thing. There is music that influences you to search out similar music and also music that creates a motivation to create your own music. My list of essential albums would probably be pretty big. But I would like to look at a few artists and albums that caused me to want to create my own sounds. ​My initial attempts were at creating stuff like Public Image Limited, Gang Of Four, Kraftwerk, DAF, Cluster, and sometimes punk type music. Occasionally unique music would show up on punk compilations or get advertised in fanzines. Stuff like Carl Stone, Biota, and The Residents was getting my attention. Also industrial music started becoming more visible. I think I found Einstürzende Neubauten by way of Lydia Lunch. SPK’s Leichenshrei became a favorite. It was discovering cassette labels though, that nudged me into starting my own label and beginning the search for “my” sound. Luckily there were zines showing the way. Sound Choice, Option, Factsheet Five, The Other Sound, and Electronic Cottage all helped me find new music and inspiration for my own ideas. Sound Of Pig, Harsh Reality, and Ladd-Frith labels fed my interest for more and gave me ideas to try. RRR became my favorite record store/distributor for the major player stuff. Okay, so this is probably similar to a few people who got involved in the cassette network in the 1980s. There were a lot of records and tapes that influenced me, but I want to consider a handful that were “ear opening”, at least to me. Discovering “noise” was what gave me my “anything goes” moment. I suppose for an earlier generation, Jazz would have provided that moment. Even though I probably knew in my head that anything was fair game, noise resonated and opened the doors for me to create whatever I felt like. Three releases stand out as my entry into noise. The first was Swallowing Scrap Metal, a cassette released on Gut Level that included Controlled Bleeding, Blackhouse, Borbetomagus, and Psyclones. 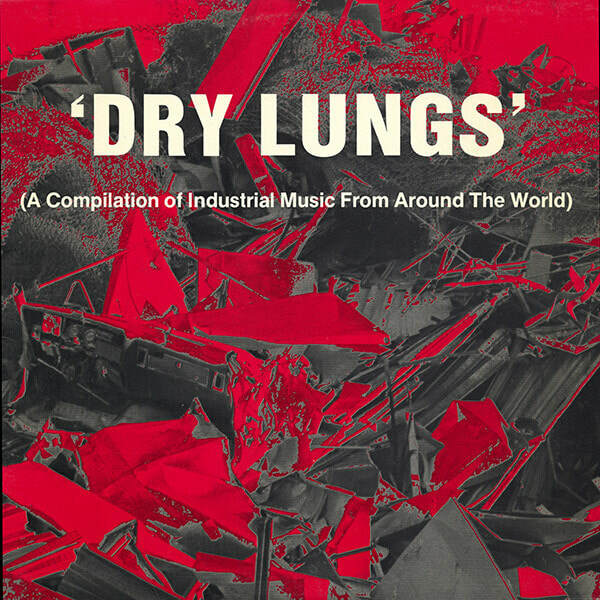 I haven’t listened to it in years, but it was my first noise album and probably led to: Dry Lungs. This compilation had Controlled Bleeding, Vivenza, Étant Donnés, Merzbow, P16D4, Esplendor Geometrico, Dog As Master (Hal! ), and others. Dry Lungs changed my listening and creation perspectives. Controlled Bleeding became one of my favorite artists. The third noise album was Merzbow’s Batztoutai With Memorial Gadgets on RRR. 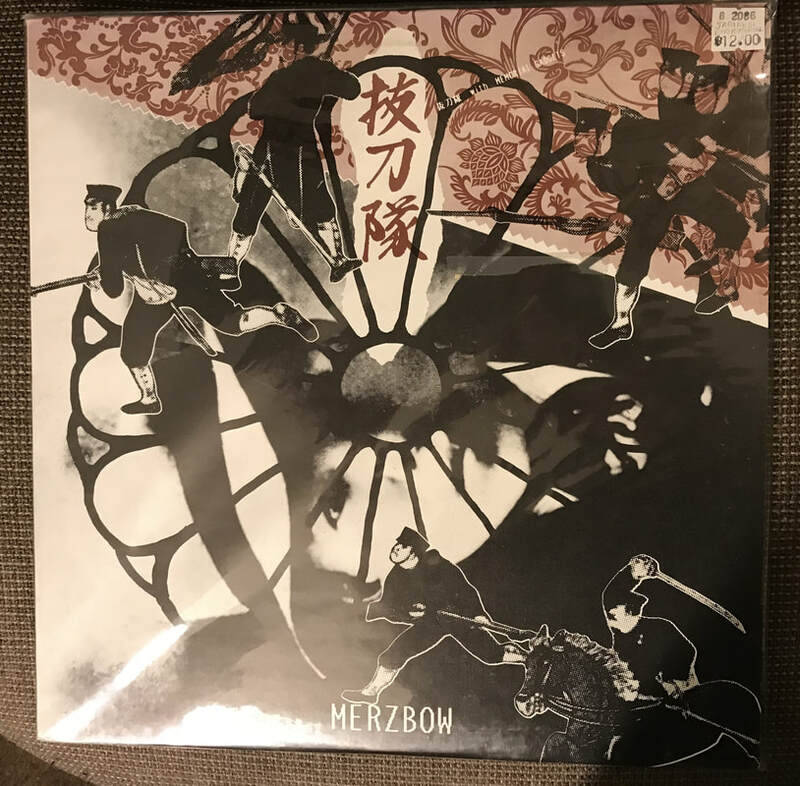 This album is difficult to describe but is unique even within Merzbow’s massive discography. It is sound collage/musique concrete more than noise. I had never heard anything quite like it. These three were kind of the foundation for what was to come. ​The explosion of new music seemed to come to a head in 1985-86. That was the time I discovered the a lot of approaches to music and sound that were new to me. Even amongst the crazy amount of post punk, noise, industrial, and D.I.Y. music, there were a few things that really stood out. Laibach, and more specifically the cassette Through The Occupied Netherlands from Staalplaat, made a big impression. Although I had already been listening to SPK and Einstürzende Neubauten, this was completely different. It was uncompromising and unique. Often it was noisy and lo-fi but also musical and textural. The Rekapitulacija 1980-84 has some of the same material and is also great. I heard the cassette first so that is what got etched into my brain. Laibach had that combination of foreign, strange, and sometimes musical that was really appealing. ​My first exposure to Nurse With Wound was Sylvie and Babs. This one was another big surprise. It is kind of like pop music from an alternate world. The combination of humor and experimentation was unlike anything I had heard. To me it is unique even among NWW stuff. Like most artists that produce over many years, there are a lot of different approaches taken over the course of NWW’s large discography. 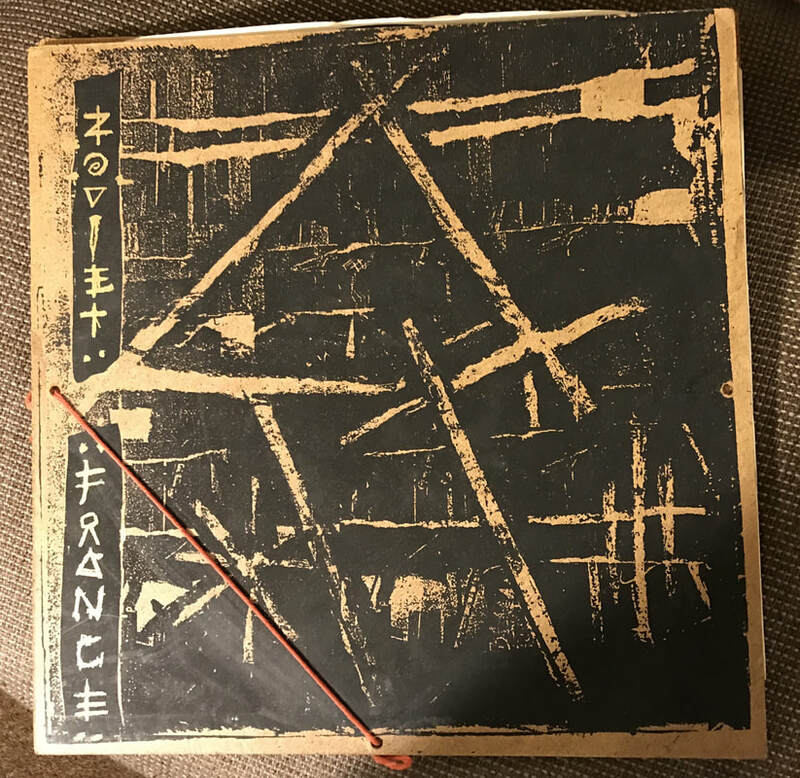 ​I’m not sure which Zoviet France record I bought first. I wasn’t very impressed initially. “What is that? Someone plucking a rubber band?” It was Mohnomishe that I gelled with and of course became a huge fan including everything Robin Storey has done as Rapoon since leaving the group. It was obvious that he was the main creative force of the group. Once again I was hearing something that was strange and appealing and yet totally different. Often repetitious, the music would have surprise changes. Sometimes it seemed like a kind of alien tribal music. It also had what I would later categorize as drone music. 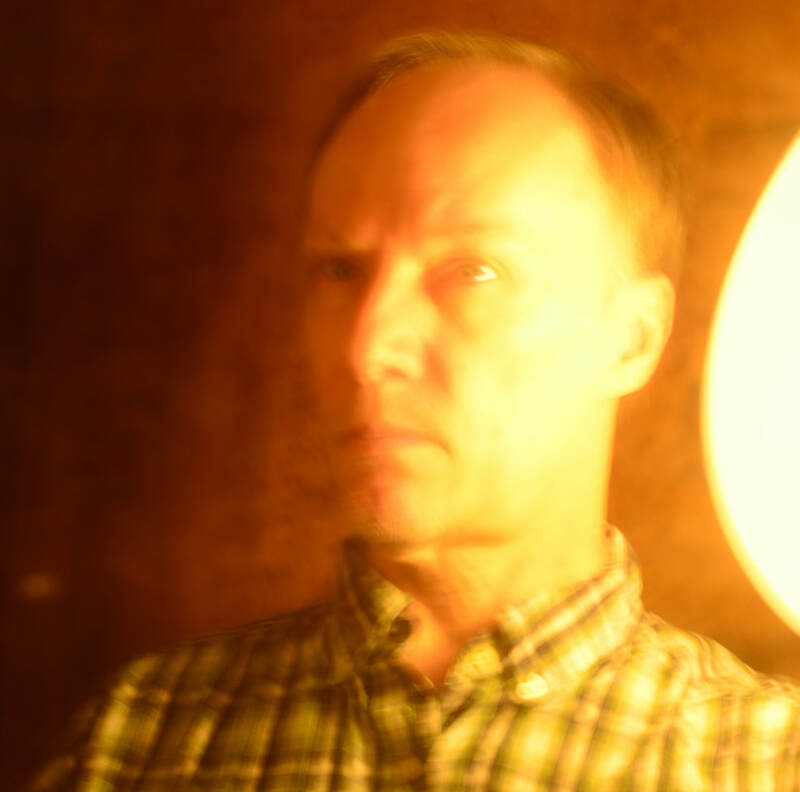 Robin Storey’s music in Zoviet France and as Rapoon became the stuff I sought out more than any other artist. It also influenced my own creations as I was starting out. 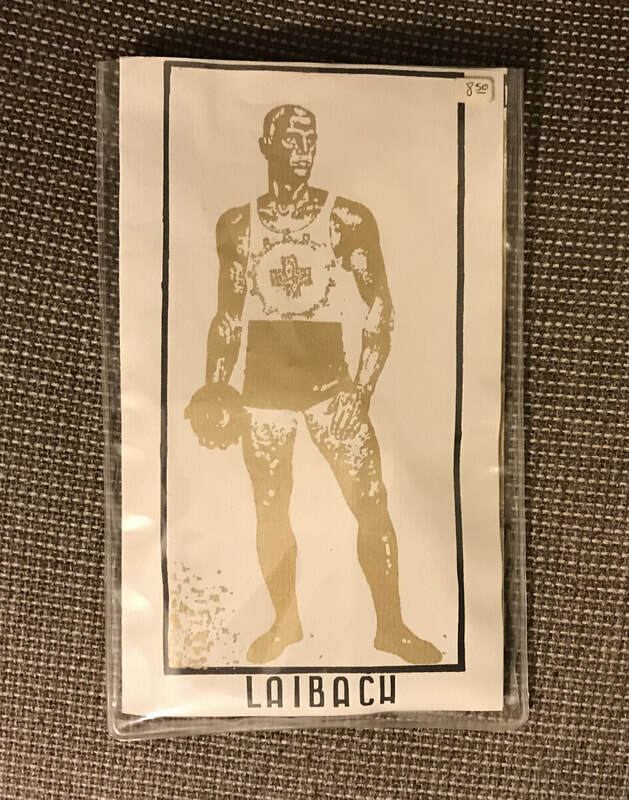 ​It is hard to understand how such unique artists as Laibach, Nurse With Wound, and Zoviet France all seemed to converge in front of me in the mid 1980s. It was like striking it rich. Post punk and all of it’s variations had already offered up tons of great and original music. And yet here was yet another level of unique and interesting artists. 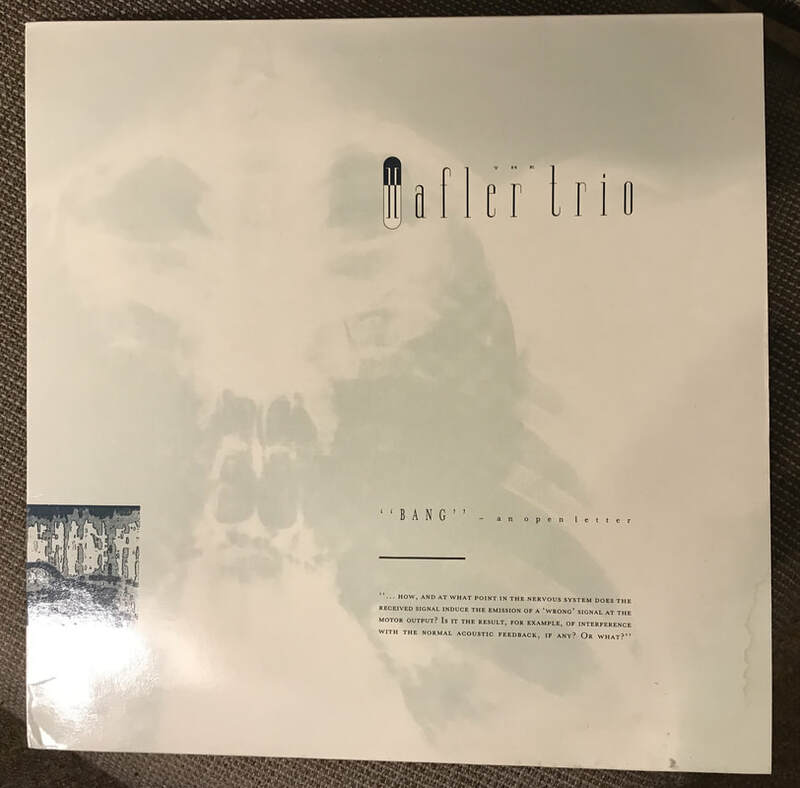 Still, I was unprepared for The Hafler Trio’s Bang - An Open Letter. In some respect it probably changed how I listen everything. On top of the strange sounds and out of context use of normal sounds was the accompanying information. Research by Dr. Edward Moolenbeek into the medicinal use of sound among other things was detailed and referenced thoroughly. I suspected that it was all made up, but couldn’t be sure. This album cemented my interest in “sound” and sent me on journey to discover new and unusual sounds. It is as if you have been given the results of secret research along with the theories and philosophy behind it. ​I’m not sure how I would feel about these albums if I was only a consumer of music and sound and not also a creator. They would probably be favorites along with the many other albums and artists I haven’t mentioned, including a lot from my fellow do it yourself network friends. But since I also got into the creation process, these few albums had a bigger impact as well as playing a role in which directions my experimentations would take. Not that it matters much, but it’s okay to reflect on these things, right? Phillip Klampe has been enjoying music and sound since that little pocket radio in the late 1960s started sharing music and weird noise on the AM band. Failed attempts at piano, guitar, and violin over the years eventually led to experimenting with music in the late 1970s thanks to the D.I.Y. methods exposed by punk and post punk music. The rise of the cassette tape networking of the 1980s resulted in the first homogenized terrestrials sounds being made available (1986). Since settling on that name, there have been many releases over the years as well as collaborations and a few performances. Related hobbies are photography, drawing, digital graphics, and buying synths (both hard and soft).